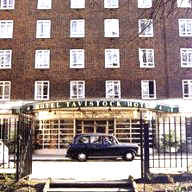 Transport Situated in the heart of the West End, The Tavistock is a prime central London location for tourists and groups on a restricted budget. 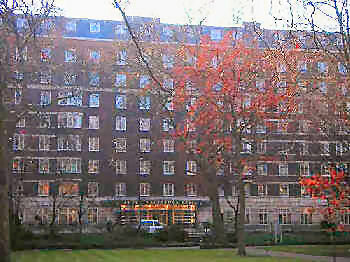 Direct connections to Heathrow Airport are available via the nearby Russell Square Underground Station and the Heathrow Airbus stops in the hotel courtyard. Description The Tavistock overlooks one of Bloomsbury’s prettiest garden squares. 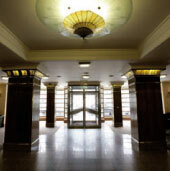 The Tavistock has a stylish Art Deco entrance, welcoming you to this popular, friendly hotel. Guests may enjoy dining on the sun terrace of Jacques Wine Bar, with its extensive wine list. 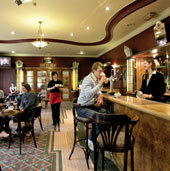 Or indeed, relaxing with a pint of guest ale in the Tav Bar within the 1930s style ground floor. The Tavistock is perfectly located for the health club and American style bowling alley as well as the exciting sites of the capital. 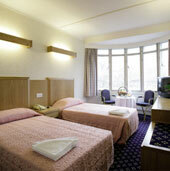 Swimming pool and health club facilities available at sister hotel close by. Special discounted voucher on offer. Our Comments We highly recommend this modern 3 star hotel. A favourite of tourists for many years and for large group bookings. Well located in the centre of town and competitively priced. HIGHLY Recommended!